A movement area consisting of a large soft blanket, wall mirror and mobile. Otis is a month old so we are using the Munari mobile. I have written about the Munari mobile here and the wall mirror here. I decided to make the movement area separate from the sleeping area, creating distinct different areas, one for sleep one for work/play. Low shelves. These shelves contain some of the materials Otis will use when he is a little older. The shelves are low enough that when he is crawling he can reach them himself and stable enough that he can pull himself up on them. The books on the shelves are among those we read to him. Low artwork. Most Montessori rooms would have prints of fine art. I have hung some of Caspar's (my three year old) artwork, not only is it really colourful but it allows Caspar to contribute to the room. When Otis is older I will change this and add images from real life, or add some watercolour paintings of animals that I have picked out. A low chair. He will be able use this chair not only to sit in but to pull himself up on. I have written more about the chair here. A large window. I chose this room for Otis because of this large window, from this window you can see our main outdoor play area and our dog's favourite sleeping spot. I anticipate Otis using the window sill to pull himself up to see outside and to cruise along. Caspar and I have decorated the window with stars made from kite paper. A floor bed. We have used a standard (firm) mattress on the floor. Otis only sleeps in here (among other places) during the day. As he is only a month old (for my own comfort) he sleeps in our main bedroom at night. The floor bed allows him visual access to the entire room and allows him freedom of movement. Shelving and a change area on the floor. When he is older more materials/toys will be placed on these shelves. At the moment they only contain two baskets, one of blankets and one of clothes. To reduce clutter nappies and other additional items are stored in the wardrobe next to the shelves. The change mat on the floor will allow him once crawling to participate in change time. We do have another change area on a desk in our room for late night changes. 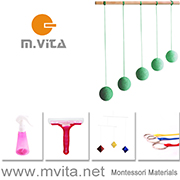 If you are looking for more Montessori room inspiration please check out Montessori ici. 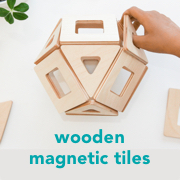 The Montessori infant room is the nicest and most practical that I have ever seen, and while you are there check out the entire Montessori infant series. I have a lot to learn from this family! I want to note I have briefly researched grammar rules and have decided to go with Otis's over Otis'. If you disagree please correct me but name your source. I would love to know more about this.